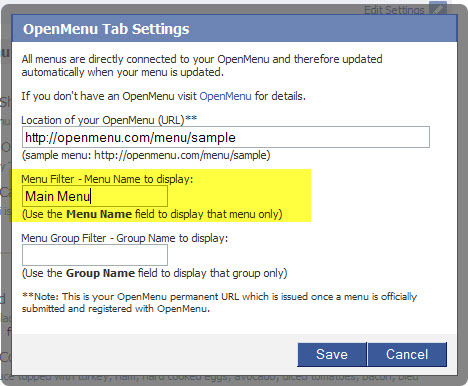 Now on Facebook you can not only display your OpenMenu that remains in sync while you make changes to your menu but you can change the ‘tab’ name to further customize what your visitors will see. This, as an example, lets you display a Dinner Menu that will display only the dinner menu from your OpenMenu. 4) Change the Custom Tab Name. 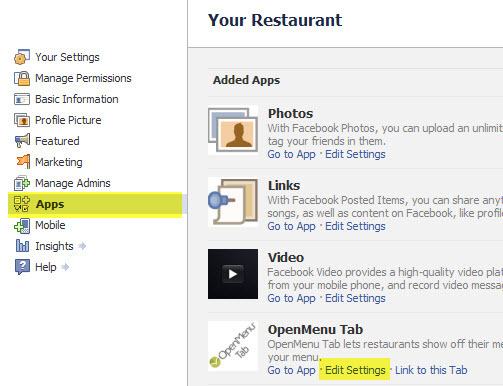 5) Go back to your restaurant’s page and edit the OpenMenu Tab settings. 7) Click save then cancel and refresh the page. That’s it. 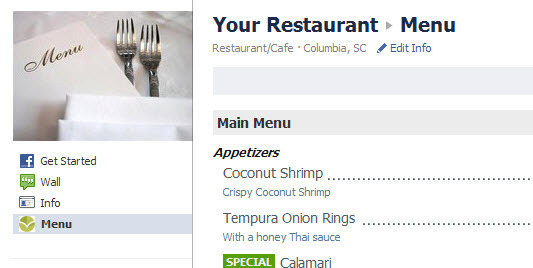 Its just that easy to change your restaurants Facebook page to display custom menus.